Now you can download the new publication in DMAW (Direct Marketing Association of Washington). For me, it has a huge pleasure to can collaborate. At the international professional section you can read my little contribution. I hope this information would be for your interest. 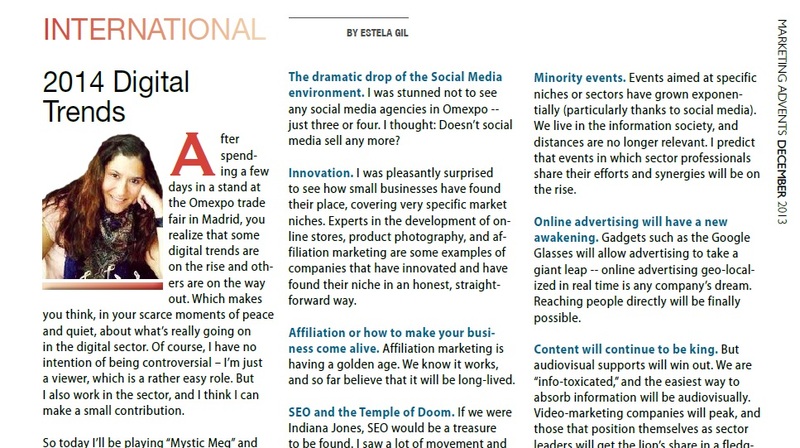 Is an interesting article about my opinion about Digital Trends in 2014. Yes, I have a crystal ball to predict the future.